the MRS. & the MOMMA: An All-Nighter, Dreamcatchers, and 21 Day Fix...Etc.Etc.Etc. An All-Nighter, Dreamcatchers, and 21 Day Fix...Etc.Etc.Etc. >>> new blog design <<< It's past due time for a new design...one that reflects my personality and the tone I want to set for my brand. Also, as this space has evolved into a lifestyle blog, new subject matters have arisen...such as homeschooling and life in the great city of Austin...but still interspersed style posts too. I can't wait to see what Danielle comes up with!!!! >>> holiday minis and sessions <<< In a matter of 24 hours, my fall calendar went from mediocre busy to vrooom! Almost completely booked for photography sessions! This girl is pumped! 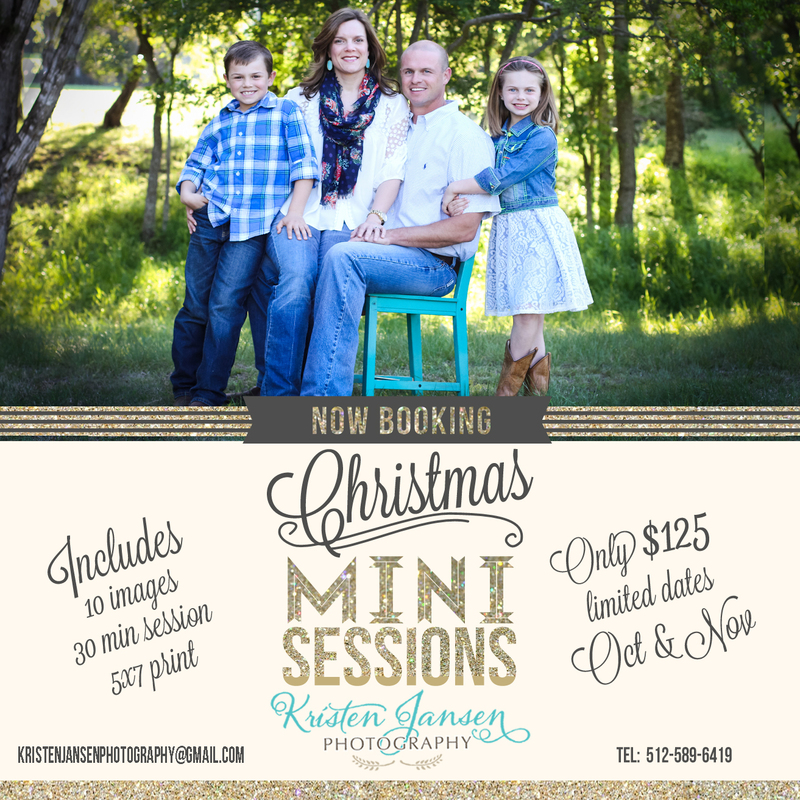 I'm offering holiday mini sessions on two dates (Oct. & Nov.) and then full session packages as well. If you're in the Austin area, I'm offering a 15% discount if you book before October 1!!! >>> bosch mixer <<< When we got married one of the must-have items we registered for was a Kitchen-Aid mixer. Our little mixer has been such a trooper the past ten years, but I'm seeing some age come out...meaning, it's starts smelling like smoke if I work its little motor too hard. Plus, it's too small for some of the bread recipes I make. // Oh about the bread...since school started (read: packed lunches re-entered my life), we CANNOT keep a freakin' loaf of bread in our house. Why do these kids eat so much!?! My kid was literally begging me to eat the heel today! The HEEL! Okay, rant over. // Well WHO KNEW that there was something better than a Kitchen Aid??? My friend enlightened me on the Bosch Mixer and I've been crushing on it ever since. This baby ain't cheap though...so it'll have to get in line behind the camera lenses, trip to Scotland, and implants I'm jonesin' for. TMI?? Sorry, I'm not sorry. >>> all-nighter at a jumpy place <<< Around back to school time, a big group of friends (entire families) go in together to rent out a jumpy house in Austin...and between me and you, jumpy houses kinda give me the creeps when you think of all the germs there, but this one is actually really nice. We all bring a potluck dinner, our sleeping bags, and most importantly gourmet junk food. These women can cook! Then we spend the whole night running around the place like crazy people until one by one everyone eventually passes out on one of the blow up things. Oh and the adults have obstacle course competitions...serious business, that is. Pretty much a blast for both kids and adults. It's tonight....wish us luck. >>> dream catcher party <<< Tyler Bree's birthday is coming up REALLY soon and we have yet to plan anything for her party. She wanted a mermaid party, but we don't have a pool...so that was out. Then she wanted a Harry Potter party...which I ain't got time do that justice, so a big fat no. And then last night, as I was thinking of things she loves, dream catchers popped into my head...she's obsessed. Once I started looking up dream catcher parties on Pinterest (because really, who doesn't heavily rely on Pinterest for everything? ), it was a gold mine! So what we've decided on is a "Glamping" party called "Camp Dream Catcher." She doesn't like the glamping idea, so we're not calling it that...but I'm totally still moving forward with my glamping ideas <insert evil momma laugh>. >>> 21 day fix <<< Speaking of stuffing my face with junk food, have I mentioned I'm right smack in the middle of the 21 Day Fix? Two friends and I pacted together to get through 21 days of good, healthy, portion controlled eating. And truthfully, we're sucking pretty hard in the results department. I'm not quite sure, but none of us are seeing anything spectacular happen. What gives? Okay so maybe we haven't been sticking like glue to the plan, but I'm pretty confident all three of us are trying our best. I mean, when I made orange cinnamon rolls and I had JUST frosted those warm, delicious pieces of heaven...you know how much self control I had? I only ate a half...and then froze the rest. Ha! Take THAT cinnamon rolls! But really...I mean. So there ya' go...my life in a nutshell right now. (And if you've stayed with me this far into the post, I love you.) So, if I saw you in real life, I would most definitely talk your ear off about one or more of the above...keepin' it real here, friends. Oh and homeschooling. When I see you I'll probably talk about homeschooling too. And eating. And maybe how I dream about defrosting those cinnamon rolls in my freezer and not leaving a single morsel behind. Alrighty, I'm over and out. 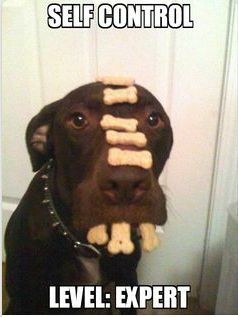 Ready to get my jump on...and pretend like I get a pass on my "fix" regime tonight. So glad you're booking photography sessions like crazy! You're amazing and so talented...so duh!!! 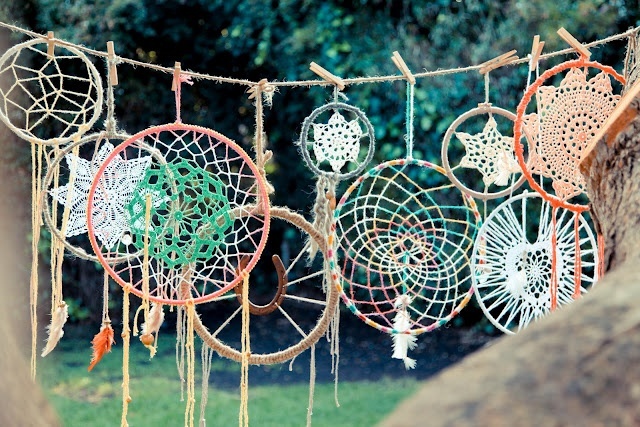 I think the dream catchers idea is awesome. So cute! One day you're going to have to do the Harry Potter themed party, though....and I want to come!